As a business executive, I have to travel extensively. Travelling means a lot to me; I not only make business deals but also make new friends and learn something novel every time I depart for a journey. There is always one main concern on the back of my mind, and that is ‘how to remain connected’ to the office, business, friends, home, stocks, news and surrounding in general. My android has helped me doing all of this in a very smart, easy and delicate manner. I not only remain connected, but also get the up-to-date information about my business and stay in touch with my friends/customers via social networking sites. If you ask me, what is so different that has made me experience that much joy with Android, the simple answer is ‘Android Apps”. Due to the exhaustive selection and wide range of available applications, my Android has made it an integral part of my personal and business life. Wordpress is generally known as an open source application. This app helps you experience Wordpress power in your Android. Having it in your Smartphone is very advantageous as it helps in writing new blogs, editing contents, and managing your notifications. Moreover, remember, it is a FREE application that can be downloaded from the official website. So, if you are a blogger, this app can be highly beneficial for you in management of your business or personal blog. VoIP or Voice over internet protocol is a communication system, which helps you make regular calls to mobiles, landlines and VoIP numbers with the help of internet. Due to the cost effectiveness, the service is very popular in the business and social circles. You can download your preferred VoIP app for Android and make cheap calls back to your home, office and friends. At android market, you can download VoIP apps like Sipdroid, Acrobit etc. to run VoIP phone services like Skype, Vonage and Axvoice on your device. If you have signed up with a quality provider, you will spend in cents and save in dollars. This is another FREE app that has a great value for you. This helps you see the world from different perspective with the camera of your cell phone. 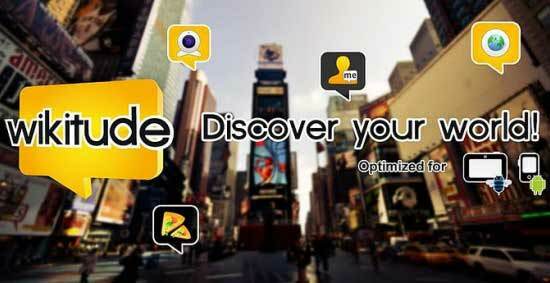 Wikitude utilizes the phone’s GPS, and movement etc. for creating a match between your position and landmark. This app not only helps you find the place for you, but also helps in learning the history of place, you are visiting. Here again, the app uses the GPS system of the device and helps you find over 60,000 hotels added in its database. You can not only select the nearby hotels easily but can also watch the reviews and inside pictures’ gallery. You can mention the name of the city, or place where you want to stay, and get your results. Moreover, if you are not satisfied, just click ‘elsewhere’ and you are directed to other nearby areas. This is one of the most innovative and important apps, particularly for those, who have to travel abroad, or to a location, where you do not speak and understand the local language. Talk to me enables you to translate your native words in multiple languages, which enables you to communicate more effectively. Foreign exchange rates are very important part of the travelling. This is very simple tool that enables you to convert over 190 currencies and enjoy your journey without any problem. You can use this to remain updated about currency rates. You can get this app by visiting Android market. GPS chip is one of the main comparative advantages of Android. It can be used for more than mere Facebook ‘Where’ update. This is highly informative and helpful app, which helps you find authentic information about the accommodations, restaurants, traffic conditions, weather forecasts, and news headlines. You can even find your nearby coffee shops and your yellow pages over it. It is helpful not only in the travelling, but you can use it in your routine life as it helps you find nearby petrol station, ATM etc. You can simply describe it as your perfect travel guide and the best buddy on the road. Finally, Android experience is enriched by the perfect combination of valuable and required applications on that. The listed apps are few to mention, as you can find dozens of them available on the web that can be downloaded and used.